Posted On August 19, 2015 by &filed under Top Law News. TERI Director General R K Pachauri, facing sexual harassment allegations, was today allowed by a Delhi court to visit China and Japan to attend a global meet to discuss environmental issues from August 21 to September 1. Metropolitan Magistrate Shivani Chauhan allowed Pachauri’s application and said the Indian embassy should be informed about his arrival in both the countries. Advocate Ashish Dixit, appearing for Pachauri, sought permission to travel abroad citing his past cooperation in the case and said that his client needed to attend the meetings and deliver a lecture on climate change on August 28 in China. However, the counsel appearing for the complainant opposed his application saying if granted permission, Pachauri might not return to cooperate in investigation. The counsel said since Pachauri was facing serious charges, he must not be allowed to leave the country as he was required in the probe and charge sheet was yet to be filed. In his application, Pachauri had said that being a world-renowned scientist on global climate change, he was scheduled to deliver lecture on a report of Intergovernmental Panel on Climate Change (IPCC) at the International Ecosystem Management Partnership in China from August 22-28. Thereafter, he is scheduled to attend a meeting in Tokyo with Professor Katsuya Kodama, senior founder of U-brain TV. The court had last month allowed Pachauri to enter his office premises barring the head office here and a branch in Gurgaon. On February 13, an FIR was registered against Pachauri on charges of sexual harassment under IPC sections 354, 354 (a), 354(d) (molestation) and 506 (criminal intimidation). TERI governing council had on July 23 appointed Dr Ajay Mathur, currently director general of Bureau of Energy Efficiency (BEE), as its Director General. Mathur will take up his new responsibilities as soon as he is in a position to do so subsequent to being relieved from his current responsibilities by the government after a brief transition period, a TERI statement had said last month. 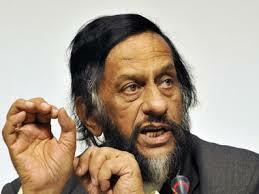 Pachauri had also stepped down from United Nations’ IPCC and the Prime Minister’s Council on Climate Change.